They were events about to unfold. Have you ever been in places that were prohibited? Done things you shouldn't have even thought about? Have the consequences of your hasty action ever hit you hard? Felt your heart swell with love for someone you had barely known? Ever rackled your brains for so many things which didn't seem logical? Realised that everything happens for a reason? I have done so many naughty things which by the end of the day, I cherish for they leave behind beautiful memories with lessons worth learning. These are my collections of naughtiness which will take you back to your days in uniform and ribbons; books and bunking; homework and teachers; lessons and realisation; serious and crazy friendship! If you are looking for a portal to your childhood days, you're at the right place! I'm warning you I might even start ranting at some parts or drop in some intellectual pieces time to time but don't worry it would be fun! Fasten your seat belts. You're in for fun trip down all your memory lanes! Rabbi shrahli sadri. wayassirli amri. wahlul uqdatam millisani. yafqahu qawli. [surah Taha]. Sometimes love can prove poisonous when you nurture the seeds of your desires rather than nurturing the seeds of your emaan. Sometimes you learn after falling and that's when reality hits you. Sometimes to overcome your desires, you need to go through it, to know why Allah forbade you to go after your desires. Sometimes infatuation is not enough for a marriage to function smoothly but rather it is the understanding between the two. Sometimes Allah makes you fall before He makes you fly just like a striving bird who flutters through the wind and when it is about to fall, it strives even harder and it takes all the strength in the bird to flourish through the heaven while glorifying Allah. Sometimes love elevates your emaan but at times it can be more dangerous than  slow poison which can slowly pierce through your strong walls of emaan, steadily making them fragile enough to crumble, which took several years to build. When we have to choose between the two roads, the road which leads to jannah isn't easy. While walking, you will realize that the path is full of obstacles which would stop you midway, which would make you fall hard but, isn't the true believer the one who after falling, picks up every shattered pieces of his heart for the Lord of the A'lameen as the heart belongs only and only to him. P. S. This book is the sequel of door to jannah. So if you haven't read it yet, what are you waiting for? "Let there arise out of you a group of people inviting to all that is good (Islaam), enjoining Al-Ma'roof (i.e. Islamic Monotheism and all that Islaam orders one to do) and forbidding Al-Munkar (polytheism and disbelief and all that Islaam has forbidden). And it is they who are the successful." Mashal Naeem thought she knew exactly who she was until she was rescued by her neighbour, flown on a private plane and driven on a talking car, kidnapped by terrorists and learned to fight. All because of being the daughter of Naeem Ansar, the founder of Alnihayya. Where freedom is precious than blood. Junaid was not interested in proceeding on with life, not until he saw the girl dressed in a black abaya. Standing by a food truck, cooing to a kid, she seemed to be the epitome of perfection. She was all what he wanted, everything he thought he would never need. It would have been easy for him walking over to her and striking a conversation had they led a normal life. The fact remained that they were anything but normal. They lived in the refugee camp at Palestine! Living a life of restriction in their own land, will they ever find peace? What about love? Will it make its way into their lives? No, this is not a boy marries girl, girl marries boy cliché story... I promise there's more! I've put all my thought and skills to put before the wattpad audience the most misunderstood fact about muslim women in a marriage. 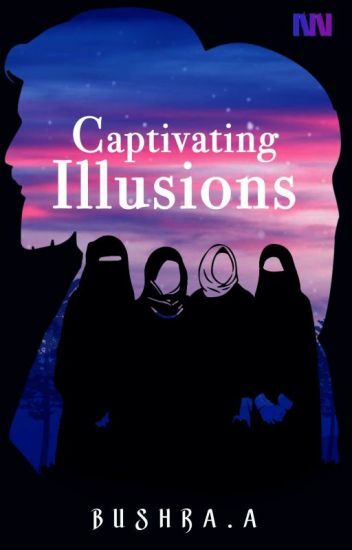 The fact that it all ends with abuse and oppression on the women which leads to thinking that muslim women are being oppressed and enslaved in their religion. Afaaf Hameed never wanted a marriage because for all she knew, 'all men are the same', particularity Muslim men. They are all chauvinists. To her, romance, love, feeling butterflies in stomach was all fantasy in today's world and it only existed in the era of Prophets. But what happens when she has forced  herself to marry Imran Ameen Khan for the sake of her mum. On the other hand, Imran is head over heels about being married to Afaaf. He has never met a woman more beautiful than her. He tries his best to let romance blossom between them. But little does he know that his beautiful wife has no feelings for him. What will the future of these two hold when their lives are tied together? Will they make it to 'Happily Ever After' or will their hearts split up? Allah has a plan for everyone! "Tales of the Heart" is a collection of interviews, stories and videos of Muslims all answering this one question: Why are you Muslim? In Shaa Allah this book will serve as a motivation and spiritual uplifting for us Muslims, and as a way to give insight to our non-Muslim friends behind the reasons why we are who we are. Spreading smiles to all those around! That's very rare to be found. And sports a smile all day long. And the belief that she is quite strong. People look at her smile and see a common girl. They overlook the desolateness in her eyes. And comforts herself by weaving a web of lies. A hollowness which claws her heart out. Someone to support her in times of drought! So she wipes her tears and gulps her sorrows away. To solely face another day. And it would most definitely not comply. Than what just meets your eye! By the fake smile she most often wears. Only reflects the depth of her inner scars! Follow the journey of Ibrahim and Zahra as they forego their inhibitions, insecurities and finally, fall in love! "Look at the stars, Sulayman!" She said softly, with a smile. "They twinkle even when the moon disappears." Sulayman Ali had taken many big steps in his life all alone. He decided to study in Abu Dhabi when he got the scholarship. He decided to work all around the globe to gain experience. He even planned for the entire year when he was selected to teach at Noor Islamic Academy. Not for a moment had he thought that his plans would never materialise, for when the matters of Qalb are involved, there is no guarantee.